It's time for the next installment of my home tour. Today I am sharing my craft room. The first stop was my screen porch and can be found here. The next stop was my kitchen and can be found here. My craft room is located in my basement and is the only room in my house with out windows. I really wish it had natural light but I still feel very lucky to have a space completely dedicated to crafting & sewing! The table is an old architect's drafting table I got from work a few years back. It really needs to be refinished but I still love it! The architectural firm I work for is 85 years old and I think it's neat to have something that was actually used once by an architect at my firm - back when drawings were still done by hand! The shelving unit was an entertainment center from IKEA that I used in my last house. I was glad to be able to put it to use in my craft room! The drafting table sits where the TV used to be. I keep an old TV in here - you just never know when you might want to watch a movie and sew at the same time! My wrapping paper and ribbon wall rack hangs on one wall. You can see how I made it by clicking the picture on my sidebar. The drafting table makes a great spot for wrapping presents. It's usually covered with wrapping paper and other supplies during the entire month of December. Come to think of it, the whole floor is usually covered in Christmas paper and ribbon then too! The paint color is Benjamin Moore; Golden Straw 2152-50. The old metal table came from my Grandparent's basement. I love this "Get Excited and Make Things" print. The best part about it is that it was free! I found this print from a post by Catherine @ Peace Love Sweater. To print your own copy go here. Thanks for touring my craft room! What a great organized craft room. Love it all. Love the entire room! Looks like such a great place to create in. What a great spot to create things! It's so organized and clean. My craft room is such a mess!! I really need to reorganize the room but I just can't find the time. Seeing your tidy space and helped give me some much needed motivation. Thanks! Wow...I am COMPLETELY jealous!! I do not sew, but I scrap and would love to have a room dedicated to my craft!! Enjoy your time in your room!! I'm getting some error trying to follow, so I'll just bookmark and come back and try to follow later:) I hate my computer sometimes! Love this! Watching an old movie while sewing sounds lovely. It's a great room! Thank you for sharing. I was wondering what supplies you keep under the television and in your plastic cart by the table. This is a fantastic craft room. I am so pleased you shared this with us Alissa. Just lovely and so organised. I love it and am completely jealous! Beautiful! I'm so jealous, Alissa. What an amazing space! every time i see these pictures i become GREEN with envy :) such a gorgeous and awesome space! What a great room! You are soooo lucky to have a room all to your self! I would love to come craft in your room!! This is soo great!! I can see from your wonderful craft room what a talented lady you are. Your space is beautiful! What a creative, relaxing place to be. My favorite part is that old drafting table! It's gorgeous. Thanks for sharing your home with us. Can't wait to see the rest of the tour! Jealous as always! I would give anything to have a room for all my projects. Maybe that's why it takes me soooo long to complete them...or it could be my 15 month old! Wow, you have your own room. Love the organization ideas. Going to check out the wrapping paper idea right now! 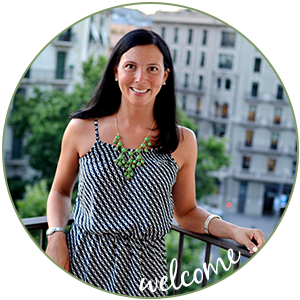 Hi I'm your newest follower, I found you through Savvy Southern Style, another of your followers! Can I just say, I really covet your craft room, it is amazing, and simple, and I want one just like it! Sigh, someday, maybe when my daughter is grown? Ah well. Looking forward to reading more from you! Love this space! It is so nice to have a space dedicated to crafting so you can leave things a mess when you are in the middle of something and then just come back to it later.....at least that is what I do. All the little touches (like the artwork and that table) are my favorite! Alissa, if only may studio was this amazingly organized...you have inspired me though!! Love your craft room! It's so great to have a space dedicated to crafting and creating! What a gorgeous space. I am jealous! I sew on my dining room table. I used to have room like that a few houses ago but now the kids each need a room of their own, so I had to give up mine! Love the table, I worked for a engineering firm in university when I was considering architecture (met my husband and that went out the window ;) and I remember my job was adding the titles to schematic drawings by hand on tables just like that! Fun that you have one! Love your star ruler! The whole room is great, actually! LOVE it!! I just linked up my craft room tour on Tatertots and Jello too. Yours is definitely MUCH bigger. I love all the little details and the fact that is seems nice and spacious. Great colors and the "Keep Calm" sign is one of my favorites. Beautiful Alissa, love your style! Hi! Love the craft room. Golden Straw is in my kitchen and den. Love the color so much! No wonder you are so creative...you have a great space for inspiration! What a wonderful place to retreat to and be creative! Love it!! Alissa, I just found your blog and I am totally jealous already over your craft room! It is beautiful! I'll be back again! Thanks for sharing your wonderful room with us!! What a fabulous space to create in! I'd just looove to have an entire room to craft in! Good job girl! Your room is delightful even without windows! wow so amazing! Recently I decided to organized my own stuffs especially for the arts and crafts. It's really cool to the eyes to see things organized. But yours is so neat and beautiful at the same time. Thanks for touring me around your house especially in your arts and crafts room. It looks great! I love the "Get Excited" print. The little heart print is cute too! Thanks for sharing. I'm so excited to see this post! We are in the process of making my oldest ballerina a dedicated sewing space. Your space gives me inspiration. I love the sign. I think I'll have to download a copy and add it to her space. Too cute! saw-weet!! adore the posters and your wrapping station! 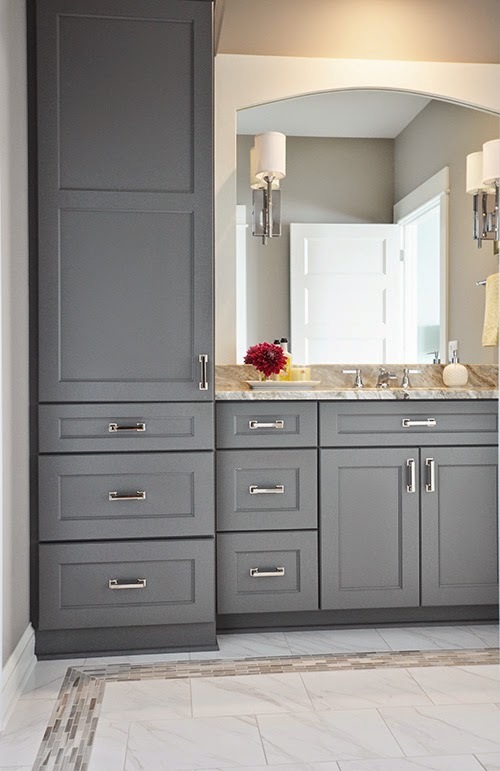 Your craft room is beautiful! So glad you were able to use the "Get Excited and Make Things" print! It looks fantastic. And thanks for mentioning my blog too! I'm off to explore your blog now.... so nice to find you! What a great space! I can't wait to have a space like this. What a fabulous space you have there. Do you make housecalls? I missed this somehow Beege! Love the pictures you got, your craft room is definitely one of my favorite rooms in your house. Love you. This is to die for... seriously. I love it. What a fantastic space. ok that is AWESOME. i want a craftroom. So cute!!! I love that free print too... Thanks for sharing! Is it always this tidy?? Wish I had a room like it. Thanks for sharing. I'm visiting from Tipnut and now following you. Looking forward to reading more of your blog. Oh.. So Jealous I've gotta do something with my room! I love the way you take pics! ...sigh... Your room looks great! Simply. Wonderful! I feel very blessed to have a crafting space as well. This one is very cute! I love the print "Get Excited and Make Things." I can tell you are very creative by the things you have displayed. By the way, the wrapping station on the wall is genuis! I want one of those!!! 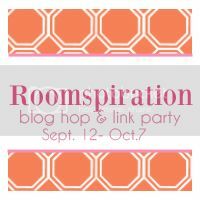 Thank you for including Roomspiration in your Link Ups today. Hope you will come back and visit Family Brings Joy again soon! I came back again to look and I just have to say, I really love your table. As the daughter of an architect and someone who considered that as a profession for many years, I love the touch of history in the space. I just love your room, it is so neat and tidy. As a full time quilt artist I would like to make one suggestion, while it is so nice to see all your thread colors, they will collect dust. You might be happier putting them in a container that you can see through. I love the photos of your craft room - it is so clean, organized and peaceful...the perfect atmosphere to spark creativity! Very impressed! Hi! I know this has been up for a while, but I just found it. I love your craft space! I live in a teeny apartment with not even a shelf for my crafting! Your room is an inspiration! Love this room!! Can you please tell me the color of the paint on the wall of the Keep Calm picture? Katie - The color is listed in the post - Benjamin Moore; Golden Straw.